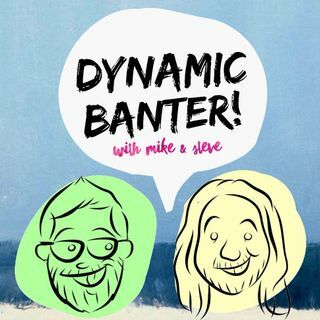 I don't think there is a single dynamic banter I don't like our didn't enjoy. Every time Steve gets to the "responsibly raised animals" part, I imagine Mike trying so hard not to laugh and say "reasonably." Listening to this podcast while having a headache is not a good idea because laughing makes it worse. I rejoice to see another veggietales fan that is also a Dynamic Banter Fan! I expected that to be nonexistent . And no I don't feel like dealing with it thank you. The Spanish bit at 54min reminded me of that joke from Veggie Tales where Larry is singing in Spanish and Bob is translating. And yes, I did just compare Dynamic Banter to Veggie Tales. Deal with it.